Werbeanzeige um 1880: Cook and Read's Standard Chromatic Tune Pipe. 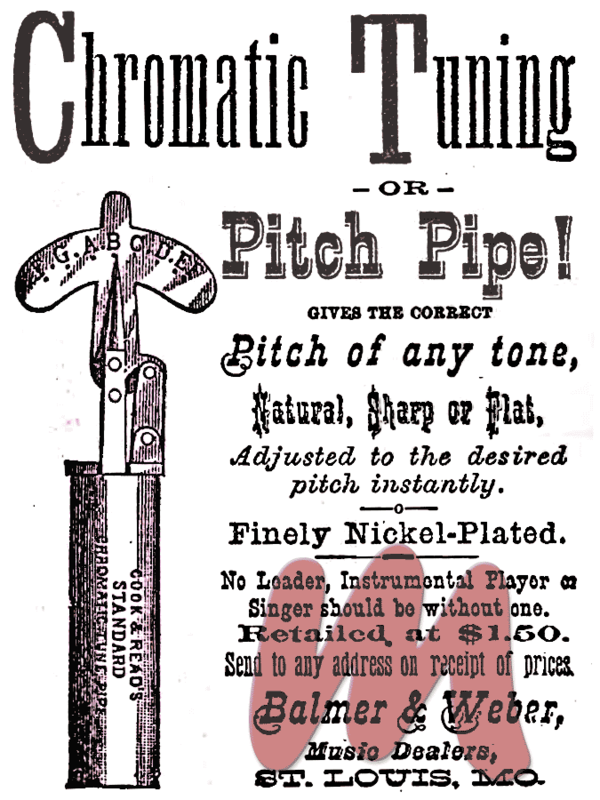 "Chromatic Tuning or Pitch Pipe! Gives the correct Pitch of any tone, Natural, Sharp or Flat, Adjusted to the desired pitch instantly. Finely Nickel-Plated. No Leader, Instrumental Player or Singer should be without one. Retailed at &dollar; 1.50. Balmer & Weber, Music Dealers, St. Louis, MO."